Sorry, we can´t ship this item to your country! 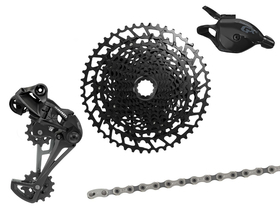 With the GX Eagle SRAM offers a 1x12 group with a broad translation at a low price. 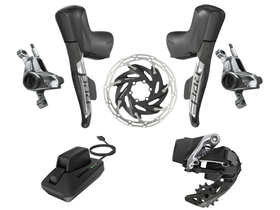 It adopts numerous technologies of the revolutionary SRAM XX1 Eagle Top Group and ensures a high performance and durability with perfectly matched switching components in all conditions. 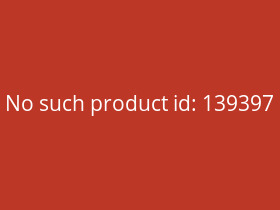 The transmission span of 500% is at the level of 2-speed drives. 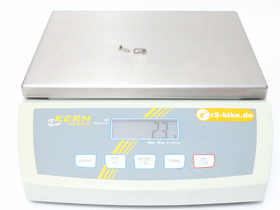 However with the 1x12 drive the additional weight and the worse switching performance of the derailleur are eliminated. 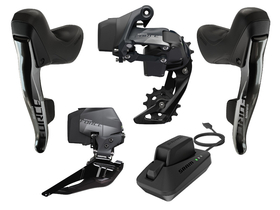 With its unique X-Horizon design, the GX Eagle rear derailleur adopts numerous technologies from the XX1 Eagle Top group. The large offset of the upper switching coil ensures a constant chain spacing and ensures exact switching operations. 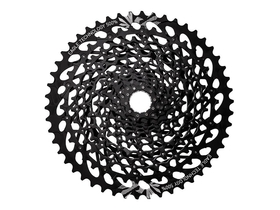 A lower gear wheel with 14 teeth ensures a quiet and low drag of the chain. 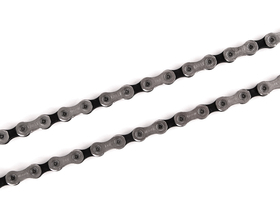 The quieter chain travel is supported by the optimized Type-3.0 cage damping, which effectively prevents the chain from striking in rough terrain. 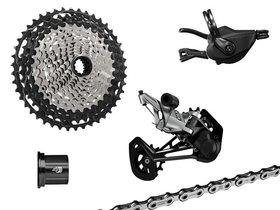 The extremely high tension of the derailleur cage and the X-Sync switchbrakes matched to the chain prevent a jumping of the chain even on the roughest trails. No matter whether it is a triple slope or the steepest ramps, the XG-1275 cassette provides the right gear with 10-50 teeth in every terrain. 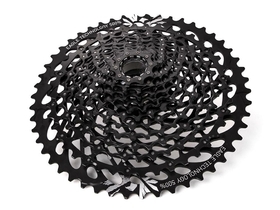 The stamped steel pinions and a 50-pin pinion made of aluminum ensure a high durability of the cassette. The pinions are not connected via a spider, but are riveted with stainless steel pins. This makes the full-pin cassette not only easier to handle compared to conventional cassettes, but the open design also provides excellent self-cleaning in muddy conditions. 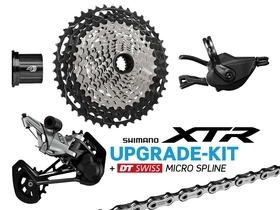 The teeth optimized with SRAM's X-Glide 2 technology ensure optimal switching performance when switching up and down. 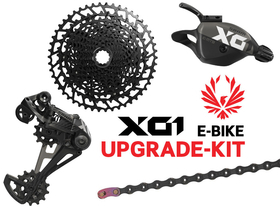 The GX Eagle chain has been specially developed for the requirements of the 12-speed drive. 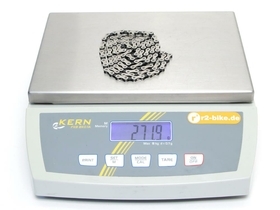 Due to its unique design, the chain has a high wear resistance. 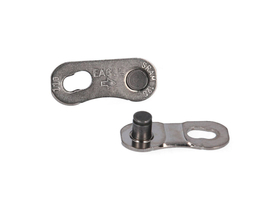 A nickel coating provides a high level of corrosion protection and reduces the friction of the chain. The revised PowerLock chain lock has a longer durability and is even easier to handle. The GX Eagle Trigger is the control center of the switching group. Only the thumb of the right hand is required to pass the switching commands. So you can focus on the essentials on the trail: The right line selection! The new 12-speed switching mechanism of the trigger ensures smooth and precise switching operations and has a very high durability. Its Exact Actuation technology ensures smooth and smooth gear changes throughout the entire range. 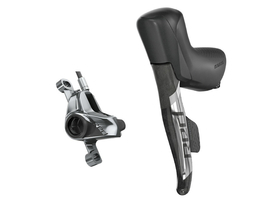 The GX Eagle Shifter can be fitted with the SRAM Matchmaker or Matchmaker X for a tidy cockpit and best ergonomics. 30 years ago, the SRAM engineers asked themselves how they could make the shifting process even easier and more intuitive. The result was the first Grip Shift rotary handle. The GX Eagle Shifter is also based on the same functional principle. 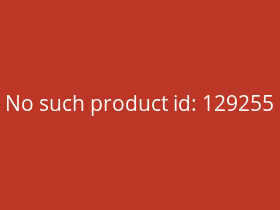 Equipped with a robust inner life, it ensures permanent switching performance. 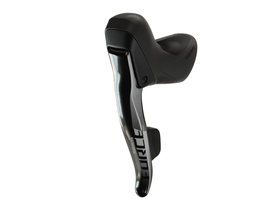 The integrated lock-on handle can be hooked into the shifter and additionally has a lock ring on the outside. Thus, the handle sits tightly on the handlebar.